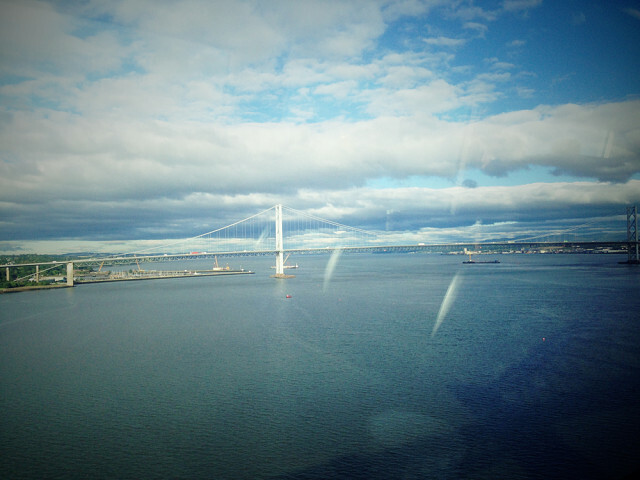 Never tire of the view from the train crossing the Forth Rail Bridge. Regardless of weather there is always something different to notice. Cloud patterns, shades of grey, boats in the water, sunlight and today a glimpse of the Forth Bridge shadow in the waters of the Forth.